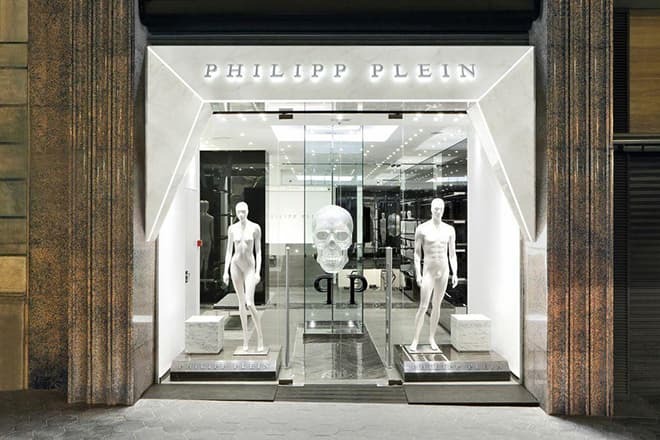 Philipp Plein is a fashion designer from Germany, who is known all over the world. Women, men and children fashion clothing lines and also collections of jewelry, accessories and home interior design items are produced under his name. Among his clients are Hollywood stars of the first echelon, famous musicians, and actors. His models of clothes differ in expressiveness, luxury, and a certain call-out, and the main elements of decoration are skulls and Swarovski crystals. Philipp was born in the German city of Munich in 1978. Since childhood, the boy's parents (the father is a cardiologist, his mother is a housewife) were engaged in his creative development. Already at preschool age, Philipp often visited museums, exhibitions and went to the theater. His family was rather wealthy and they traveled a lot all over the world. During the trips the boy learned the culture of other people, he was inspired by the city architecture and beauty of nature. However, when Philipp entered the gymnasium in the south - west of Germany, in the city of Baden-Württemberg, he was especially interested not in the humanities, but in mathematics. Having graduated from the school, the young man continued his education at Law Department of Friedrich-Alexander University Erlangen-Nürnberg. He was going to become an economist with the knowledge of the law. And he would have become if it were not for some accident. Being a student, Philipp decided to have a loyal friend — a dog. To make the space for his favorite pet more comfortable, the owner decided to get for him a special plank bed, but Philipp wasn’t satisfied with the range presented at the shops, then he hadn't thought up anything better than to make a seat for the dog with his own efforts. 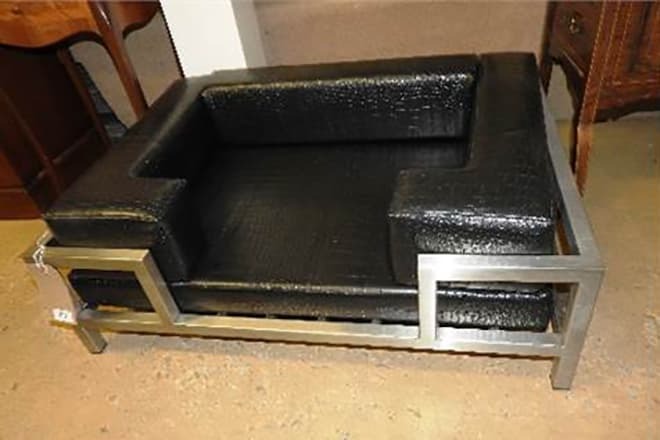 The result of his work turned out to be great: the laconic metal framework supported the basis of the seat which was covered with exotic leather. It was not the bedding sewed in an amateurish way, though a real design decision and production. The new seat pleased his dog, but Philipp's friends especially appreciated this piece of the furniture for the animals and they also wanted the same mini-sofas for their four-legged pets. Having felt the demand for his work, in 1998 Philipp Plein opened the workshop on the production of furniture and items for home interior. The career of the economist had taken the second place, but the mathematical skills helped the beginning designer to consider the sales revenues which were already impressive. Sofas and chairs which framework was produced from rare tree species were in special demand, and the upholstery was sewed from leather, velvet, and silk. In 2003 the designer of the furniture was suggested to work on the restroom of the Moet & Chandon company during the Fashion week in Düsseldorf. Creating the furniture and equipping the room interior, Philipp decided to make a pleasant addition for the guests. He had expensive fabrics from the upholsteries of the seats and Plein made of them fashionable leather bags. Ladies were delighted with such gifts. Later, at another exhibition in Paris, Philipp in addition to the interior had put a dummy which was dressed in the anorak in military style, decorated with the Swarovski crystals. When the visitors of the stand began to pay attention to the anorak not less, than to the furniture, Plein understood that it was time to create his own clothing brand. Then in 2004, he started the Philipp Plein brand. The designer employed the team of the professionals together with whom he created fashion clothing lines for women and men. His designs became recognizable at once. Leather decorated with rhinestones is a favorite material of Philipp. Being inspired by Johnny Depp's character - Captain Jack Sparrow, Plein placed the images of the skulls on the T-shirts, jackets, and trousers. Two years after the release of the first collection of clothes Philipp produced and released the jewelry series under the title of "Dirty Diamonds". They perfectly fit Philipp Plein brand clothes sewed from the skin, denim, and cotton with the metalized decoration. In 2011 he started to design and produce children clothing in addition to adult fashion clothing lines. Tops and shorts were decorated by Disney's characters and heroes of Marvel comics. The main motto of the designer is the following - "Everything, except boring!". Plein himself says that, while creating the outfits, he is guided by the young and successful people who had achieved much in their life and aren't afraid to show their identity and individuality. Chic and sexuality are prior in women clothes, brutality takes the first place in men clothing, and enthusiasm goes first in children clothing. Moreover, Plein turned out to be the designer of the magnificent dress for the main world fashion girl - Barbie doll. In cooperation with the American company of toys, Philipp designed a beautiful evening dress — the black fitted dress which is gracefully decorated with the rhinestones. The light shawl on the shoulders in the form of a thin coat without the fasteners accompanied the dress. The year 2012 was marked for the designer by one more interesting project. He designed the capsular clothes including shirts, T-shirts, sweatshirts, jackets, coats, and trousers for the team of the Italian football players. And also he produced footwear, bags, and accessories for them. Since 2004 Philipp released fashion clothing lines in casual style, and since 2008 his ready-to-wear collections were out in the world. Now the headquarters of his brand is based in Switzerland. Clothing production and tailoring are realized in Italy. Philipp pays special attention to the quality of fabrics and mastery of tailoring. Among the regular customers of Philipp Plein brand, there are such celebrities as Madonna, Kim Kardashian, Russell Crowe, Johnny Depp, Antonio Banderas, Paris Hilton, Rihanna, Naomi Campbell, Heidi Klum and other famous people. The boutiques of the brand are located in more than 40 countries of the world, in Europe and Asia, USA and Australia. Philipp regularly participates in the fashion weeks. In 2016 the German magazine "GQ" awarded Plein with a rank of "Person of the Year" in the Fashion nomination. Philipp is famous not only for his daring fashion clothing collections but also for his numerous love affairs. As the designer admits himself, he doesn't drink and doesn't smoke, but his main "addiction" is the fascination for beautiful women. For some time Philipp had relations with the Hollywood actress Lindsay Lohan (she was an advertising person of his brand). Several years ago he was in a relationship with the model Fernanda Rigon from Brazil. From this love affair, his son with a romantic name Romeo was born to the designer. Now the boy lives with his mother, and his father regularly comes to visit him. 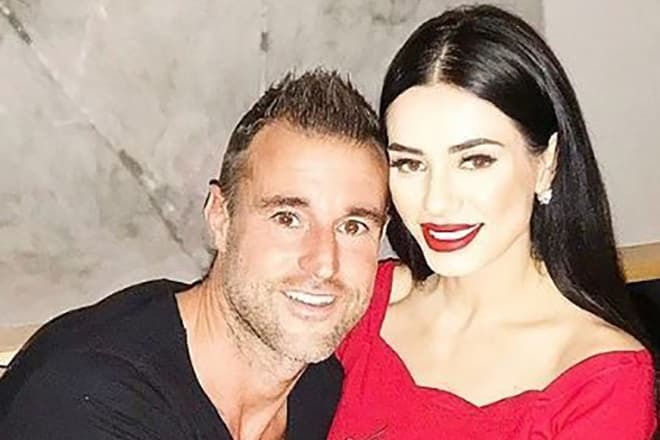 Practically right after the child's birth in the press there appeared the photos where Philipp was spending time with the pretty brunette Oksana (by hearsay, the girl is from Russia). Later, Mădălina Ghenea, an Italian model, Romanian by origin, became his girlfriend. The girl is 10 years younger than Philipp. This wasn’t her first relationship with a celebrity before she had already had relations with the Hollywood actors Gerard Butler and Leonardo DiCaprio. The relations of the couple developed quickly. Their pages on Instagram were full of their joint photos. The lovers got identical tattoos on their fingers, and during their trip to Paris, Philipp made Mădălina a proposal. But something went wrong and in 2016 the couple broke up. Every year Philipp develops as a designer, representing new collections of women, men and kids clothing, accessories, and items for the house. It's possible to view and buy things of the fashion brand at the official website. Plein isn't lonely — on his Instagram page, there are regularly posted "hot" shots where Philipp embraces the brunette of model appearance. 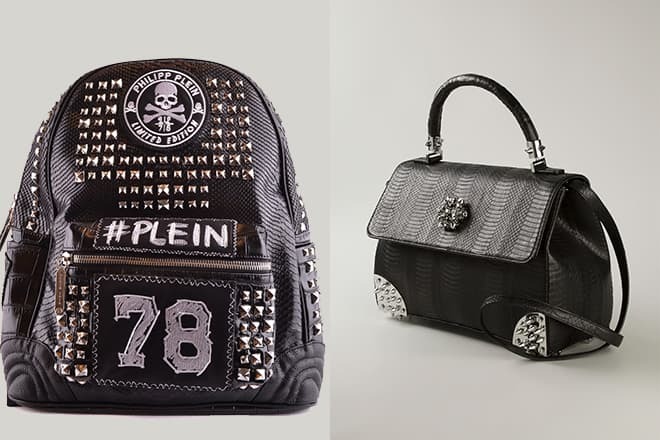 Philipp Plein has a very saturated life: he works hard, develops his brand, recently he has started the new Sports line. At the same time, the designer regularly travels all over the world, and gets inspired by the culture of other countries and applies his new knowledge and experience in his collections. 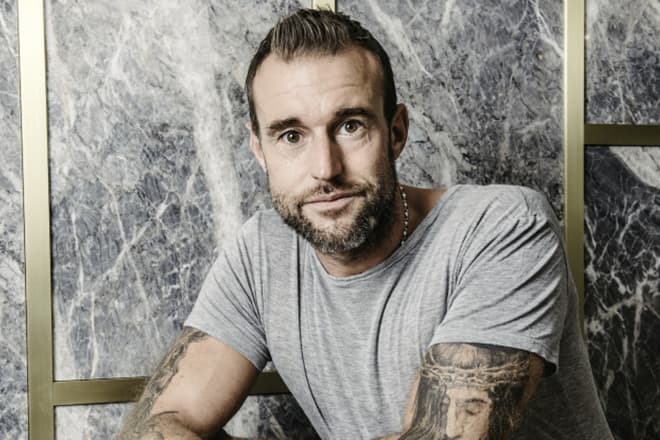 According to SNC experts, Philipp Plein International Group company earns up to $230 million in a year. Its owner has two big estates in France and Switzerland. The main residence of Plein is the 3-story residence in Switzerland of 17 rooms, in the same area with the headquarters of the fashion brand. The second (after women) Philipp's passion is a fancy for expensive sports cars, in his garage, there are presented the models of supercars worth $300 000-400 000.